Race to the Oppo Rally, 17 days to go. (see prior day here) I want to put in a full evening’s work on the truck, but apparently to universe has different opinions. My Partner found out today that her company is closing it’s office and she is being laid off. So I was only able to put in about 1.5 hours on the truck before going over to keep her company tonight. 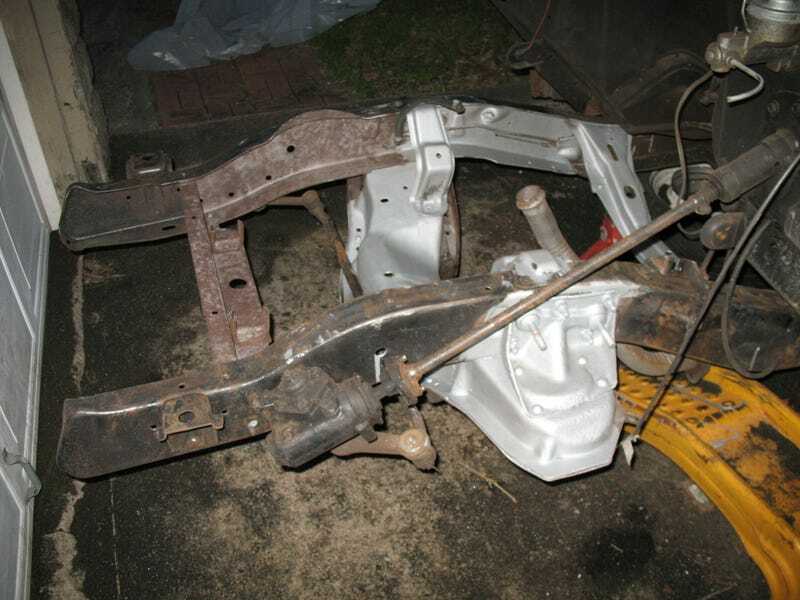 In that time however I was able to finish sandblasting the inside of the frame and the crossmember, and run a wire wheel over the outside of the frame. So tomorrow I can get the silver Masterseries on the whole front frame. Hopefully tomorrow I can get a full evening’s work in.